Building a good reputation is important, says Griffith Co. Chairman and CEO Tom Foss. And Foss should know. He started at Griffith as a laborer four decades ago, and rose through the ranks, transitioning to foreman, estimator, chief coordinator, then Orange County vice president and district manager. Attending a job fair requires strategy and preparation. That’s why Jina Flores was on hand Tuesday to help steer engineering students through the process one day ahead of the Fall Engineering & Technology Career Fair in the University Student Union. If you’ve served in the military, you probably have a long list of accomplishments to include on your resume. But those acronym-rich descriptions can require some translating to make sense to civilian hiring managers. 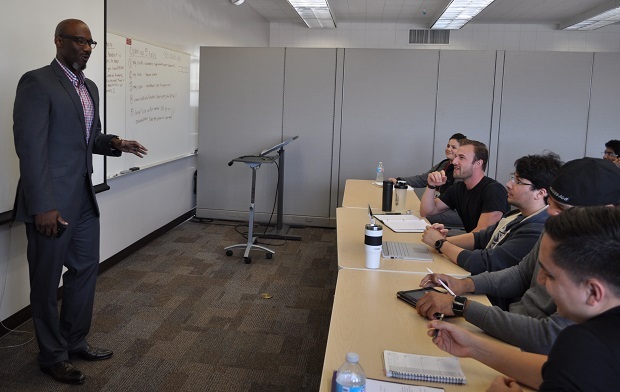 On Monday, recruiters from Northrop-Grumman were at the CSULB College of Engineering to help veterans present their military experience in a way that stands out for hiring managers going through stacks of resumes. Countless online articles can tell you how to create the best impression during a job interview. But as with engineering itself, there’s no substitute for trying out those theories in the real world. 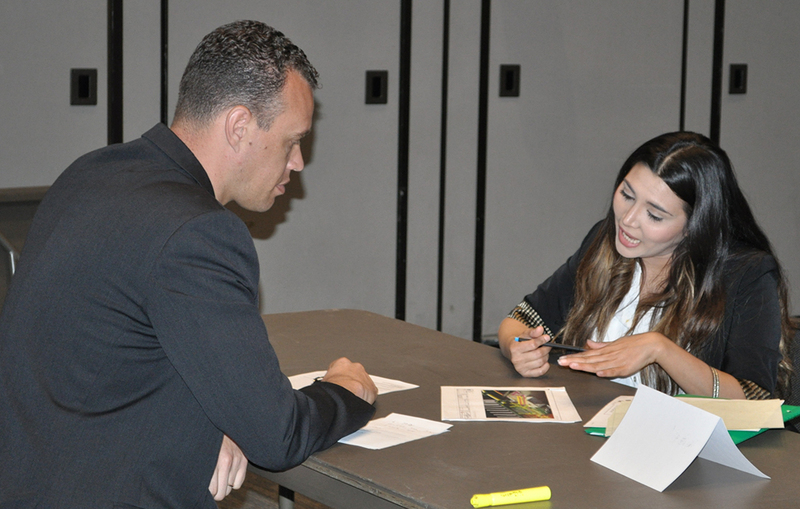 On Friday, the CSULB College of Engineering Office of Professional Development & Internships hosted its annual mock interviews, giving 530 students the opportunity to practice their interview skills with representatives from 48 employers. Sponsored by Southern California Edison, the event drew many of the region’s top employers, including the Aerospace Corp., Boeing, Disney, Griffith Construction, NAVAIR, Northrop Grumman, and the U.S. Coast Guard. Some students who participated are graduating this semester and ready to hit the job market. Others have a little time to prepare. Julie Liner prepared for her practice interview with Southern California Edison, where she’d like to work. “Most of the questions were expected. They were behavioral questions,” she said. Honors student Daniel Lee said he doesn’t worry about the behavioral questions, which attempt to gauge soft skills. As a computer science major, however, he must master the technical interview, which includes algorithms. San Diego-based G2 Software Systems is often enlisted to fix broken systems or refresh ones that are out of date. The company’s sweet spot is with the defense industry’s large, complex, and sometimes antiquated, systems. G2 was hired to create software that sends alerts throughout all branches of the military, notifies the continent’s defense and aviation organizations to suspicious aircraft, and lets military personnel be trained simultaneously around the globe. On Wednesday, a group from G2 visited the CSULB College of Engineering to interview graduating computer science seniors for possible jobs or internships. G2’s founder, Georgia Griffiths, is a CSULB alumni and member of the Dean’s Advisory Council. G2 General Manager Pete Keyes. COE Development Director Nicole Forrest-Boggs, and mathematician Christopher Priebe. The G2 contingent included general manager Pete Keyes, mathematician Christopher Priebe, and office manager Jessica Rose, a CUSLB alumni. If you want to know the questions that Google interviewers ask, don’t believe the dozens of books and blog posts written on the subject. Because the minute an interview question is found to be published, it’s added to the list of banned questions, says Google software engineer Chris Clark, who was at CSULB Tuesday to talk about what it’s like to be an engineer at Google. Clark was the top computer science student in his class at UCLA, where he double majored in applied mathematics. He won a Hewlett-Packard scholarship that guaranteed him three internships at the company. But after completing his first summer internship there, he declined a second one in favor of internships at Xerox and then Microsoft. After his 2008 graduation, Microsoft hired him full-time. Seven years ago, he was recruited by Google. The search engine giant, said Clark, “is very good at empowering every engineer.” The company’s open environment and support of its employees is legendary, as are its kitchens. 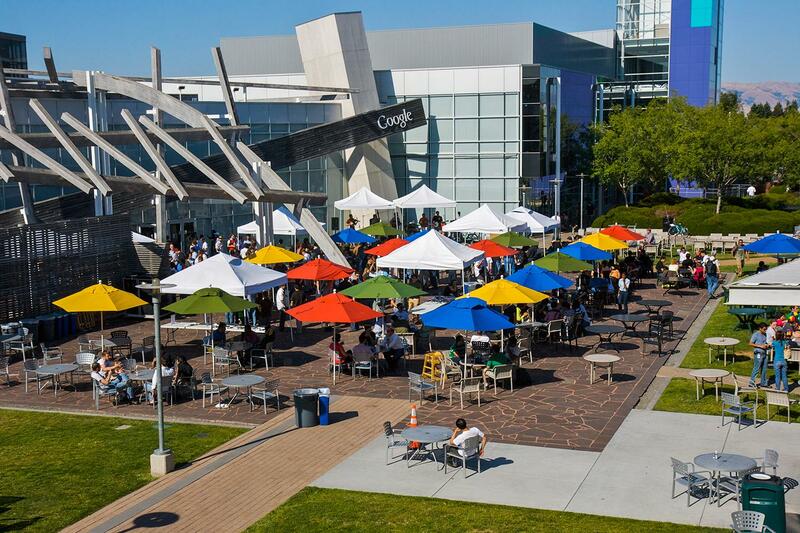 It’s the subject of numerous books, blog posts, and tutorials: How to get hired at Google. On Thursday, CSULB Computer Engineering & Computer Science students had a chance to get the inside track on how to join a company that’s long been seen as a top workplace for tech talent. If you’re pursuing a career in commercial space exploration, you might want to consider the Matthew Isakowitz Fellowship program. The highly selective Fellowship will place students at top companies for paid summer internships for 10-12 weeks in 2018 and provide them an executive mentor to help throughout the year. 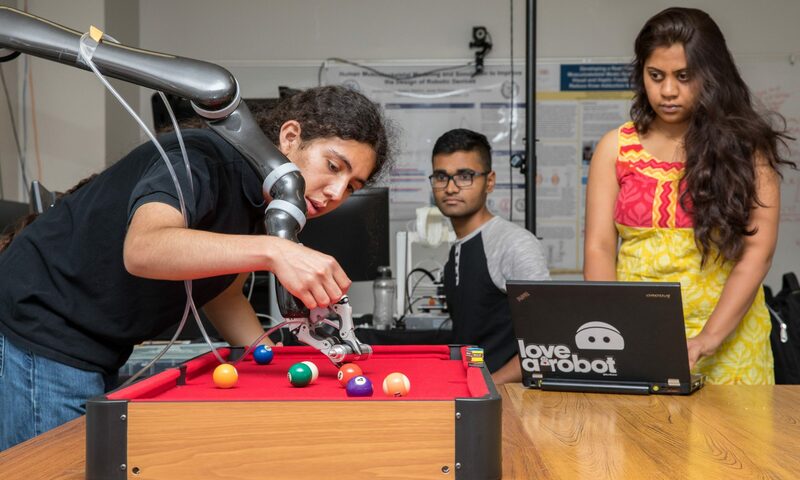 A year ago, Electrical Engineering majors Daniela Bosze and Jose Gomez were in the same position as the 70 students who attended Tuesday’s Southern California Edison information session—wondering how to make the most of career fairs. Bosze and Gomez attended the Edison info session last year, and stopped by the Edison booth at the fall Engineering Job & Internship Fair. Although Bosze said she hadn’t yet taken any classes in power, she expressed an eagerness to learn. Gomez hadn’t taken power classes either, but spent time before the job fair getting up to speed. In the military, the unit is more important than the individual, said Northrop Grumman’s D.N. “Doc” Massard. But that’s not the case in private industry, where you must stand out as an individual to get hired.